St. Patrick’s Day is almost here, and while I may not be Irish, I like to celebrate a holiday on which people are encouraged to dress in my favorite color. Always having some article of green clothing on hand, I haven’t been pinched yet! This year, in addition to the wearin’ o’ the green, I’ll be drinkin’ o’ the Dream. In our Holiday G.I.F.T. 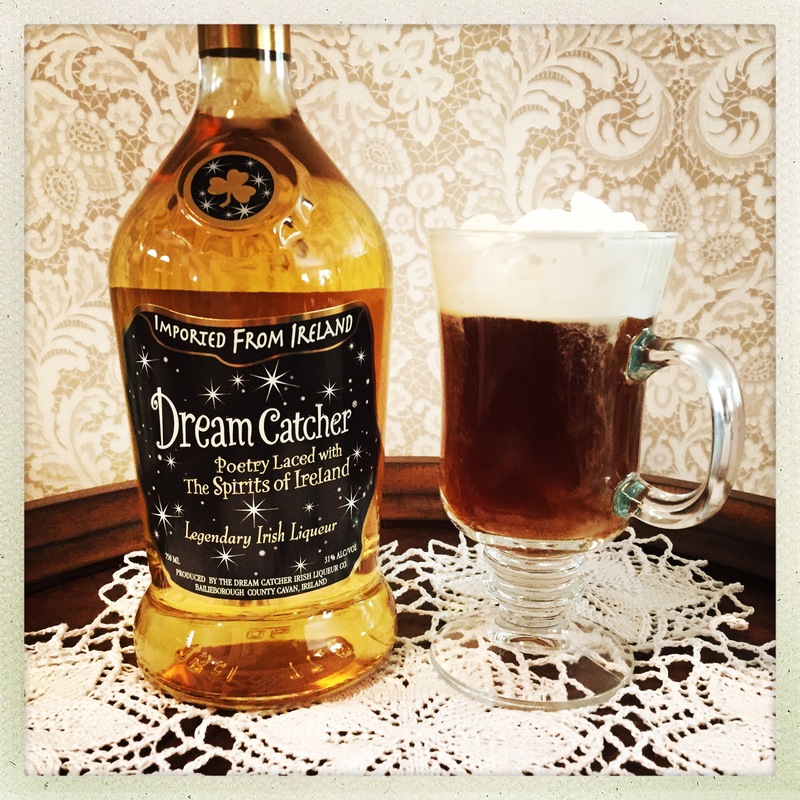 Guide, I chose Dream Catcher Legendary Toasted Irish Liqueur as one of my picks, and I’ve discovered that it makes a swoon-worthy Irish coffee. Simply replace the traditional whiskey with an equal amount of Dream Catcher and top with whipped cream. It’s magically delicious! Serve up a mug with breakfast and you’ll feel on top o’ the mornin’. In the afternoon, you can enjoy a wee nip while you avoid a wee pinch. As a nightcap, the comforting warmth of the coffee and liqueur will help you catch some Zzzzz…and net some sweet dreams. With luck, there’s still time to lurk in the liquor aisle and trap this treat from the Emerald Isle to enjoy on St. Patrick’s Day. One sip of this toasted chestnut liqueur and you’ll know you’ve found the gold at the end of the rainbow. Whip the cream with a beater or whisk until stiff peaks form, adding sugar, to taste (if desired). Set aside. Fill a footed mug with hot water to preheat it, then empty. Pour piping hot coffee into warmed glass until it is about 3/4 full. Add the brown sugar and stir until completely dissolved. Blend in Dream Catcher Irish liqueur. Top with a generous dollop of whipped cream and enjoy! *To veganize this recipe, substitute whipped coconut cream for dairy whipping cream. 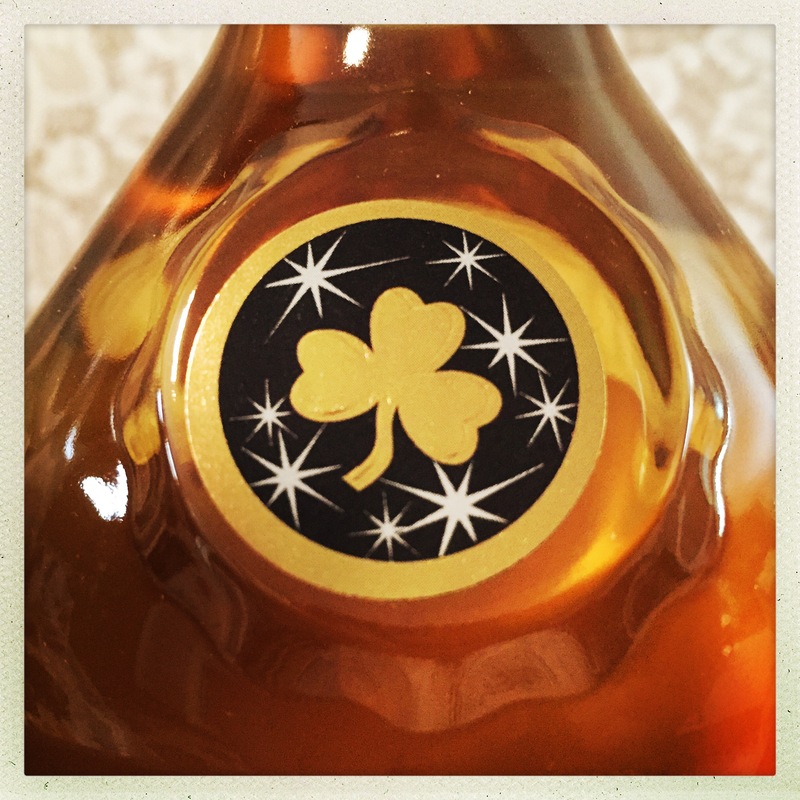 For a store locator and recipes featuring Dream Catcher Irish liqueur, visit the company’s website.